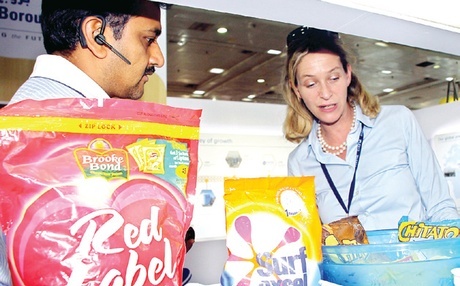 The fourth edition of South India’s biggest international plastics exhibition began at the Chennai Trade Centre here on Thursday. The four-day exhibition was inaugurated by V K Subburaj, additional secretary and financial advisor, Department of Chemicals and Petrochemicals, Ministry of Chemicals and Fertilizers. The inaugural also saw the participation of K Dhanavel, Secretary to State Government–MSME Department, Siddharth Mitra, executive director, Petrochemicals Indian Oil Corporation Ltd and S B Dangayach, managing director of Sintex Industries Limited. IPLEX–International Plastics Exposition was conceived jointly by the State-level Plastics Manufacturers Association in South India: Tamil Nadu, Andhra Pradesh, Kerala and Karnataka, the organisers said. CIPET–Central Institute of Plastics Engineering Technology, an autonomous institution under the aegis of Department of Chemicals and Petrochemicals, Ministry of Chemicals and Fertilisers, is also a member of the fraternity. The objective of IPLEX was to trigger rapid growth of plastics industries in the Southern states that were lagging behind their Western counterparts, particularly Maharashtra. The plastics industry in South is set to grow by 20 per cent, the sources claimed. The fourth edition exclusively focuses on the plastics industry’s requirements of machines, materials and technology and features over 230 exhibitors from India, Taiwan, Singapore, Japan, China, Vietnam, among others. The special feature is the live demonstration of a large number of machines to manufacture plastics articles –industrial or consumer. Existing plastics processors, aspiring new entrepreneurs will find the expo extremely useful. The expo will facilitate the processors to adopt new technologies to cut down costs and improve productivity. A wide range of new and improved raw materials and performance additives will also be on display, the organisers pointed out. Organisers hope that the expo will see close to 25,000 visitors from all over India and predominantly from South India. About Rs 500 crore worth of business deals are expected to be concluded during the expo, they said adding that they will soon be organising IPLEX in New Delhi in February 2016.